It seems to me something a sadistic INTP would dream up. Is it even on there anywhere? I've gone through about an eight of it and haven't found a single occurrence. Wow, that was a little faster than I expected. Did you use any particular method? 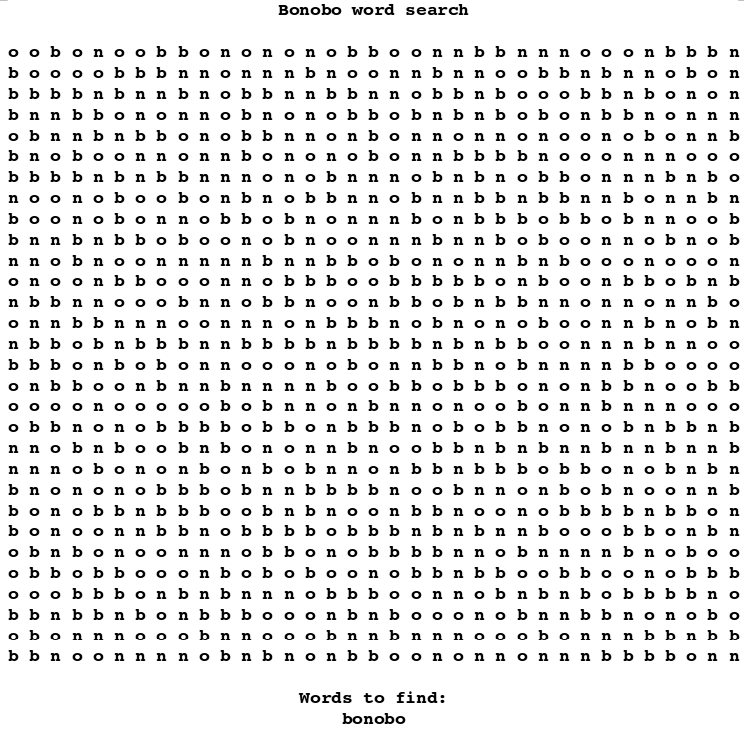 I thought about printing it out and circling all the B's to start, with the aim of finding all the 'BON' sequences. Did you use any particular method? Yes, I have the maturity level of a 12 year old. I spotted those too. In my defense, I also spotted "noon".